Worth to buy, cheaper than official website and just simply the bar code in the entry. 15mins from Paddington to and from Heathrow. 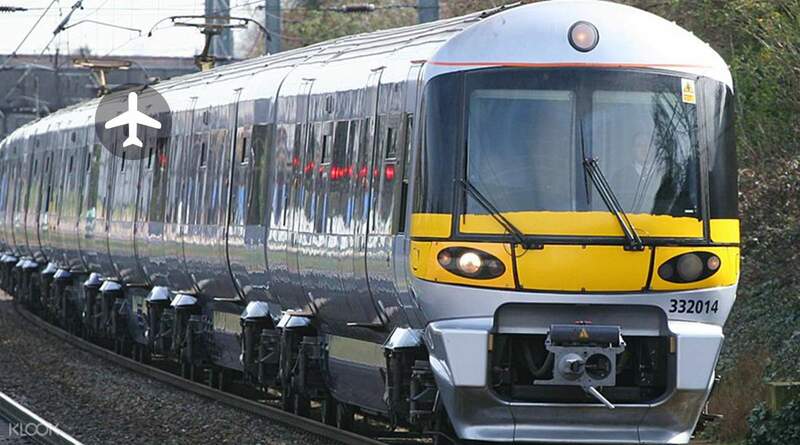 Experience a convenient and hassle-free journey between Heathrow Airport and Central London with the Heathrow Express. Board the train at either Heathrow Airport's Terminals 2/3/5 or London Paddington Station, with only 15-minute intervals between departures every day. Every Standard Class Ticket comes with a comfortable seat, access to 4G WiFi, and a power socket, with optional upgrades to First Class providing more leg room, a worktable, and newspapers/magazines. The best part? 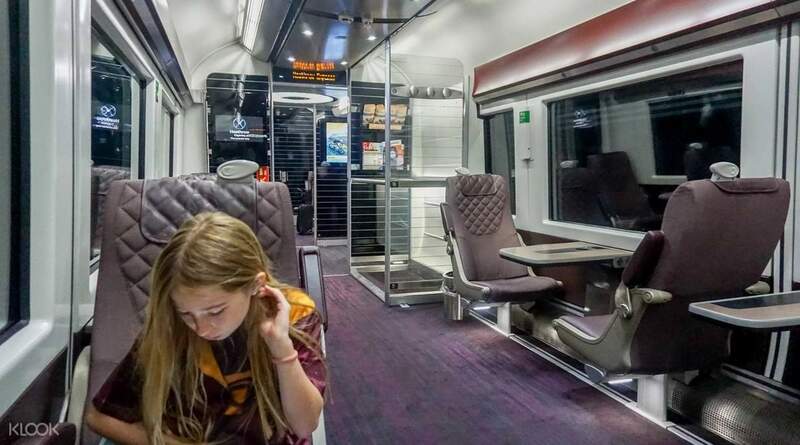 Taking the Heathrow Express shaves off more than half the usual travel time, with only a 15-minute journey from terminals 2 and 3, contrasted to 42 minutes via taxi or 51 minutes by using the tube. 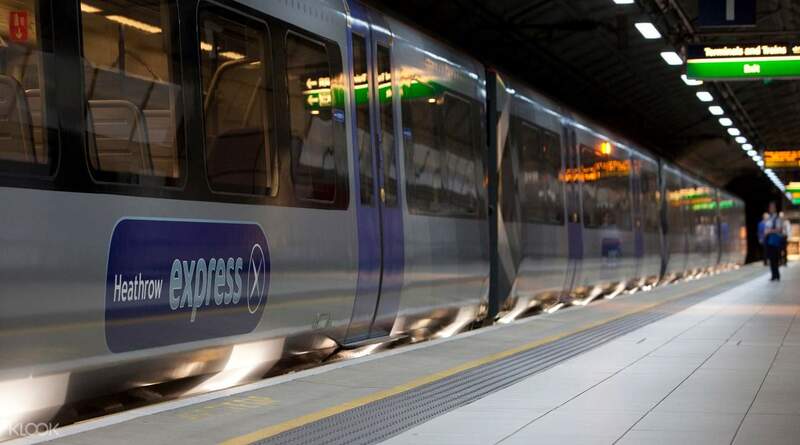 Hop aboard the Heathrow Express and arrive at either Central London/Heathrow Airport in 15 minutes! i left Heathrow and arrived London city within 20 short minutes. very convenient and enjoyable journey. enough leg room and luggage space to relax as you ride this fast speed train. thank you Klook for offering this option at cheaper than market rates. saved me a few bucks. highly recommended to all who need a transfer from the Airport to London. i left Heathrow and arrived London city within 20 short minutes. very convenient and enjoyable journey. enough leg room and luggage space to relax as you ride this fast speed train. thank you Klook for offering this option at cheaper than market rates. saved me a few bucks. highly recommended to all who need a transfer from the Airport to London. Very easy to use, just use the QR code to scan in gate. Very easy to use, just use the QR code to scan in gate. Another great, quick and easy transportation offering from KLOOK... Take the stress out of your next trip, and save a lot for money by going with this deal! Another great, quick and easy transportation offering from KLOOK... Take the stress out of your next trip, and save a lot for money by going with this deal! Very easy to use. Just scan the given barcode on the voucher on the faregate and you’re good to go! Very easy to use. Just scan the given barcode on the voucher on the faregate and you’re good to go! Very convenient to get from the airport to the city and online redemption through the Klook app is very easy. Would definitely recommend booking ahead to maximise the early bird discount though! Very convenient to get from the airport to the city and online redemption through the Klook app is very easy. Would definitely recommend booking ahead to maximise the early bird discount though! So convenient! No printout needed. No tickets to pickup. Just scan the code on the turnstile and thats it! We were at the airport in 15 minutes! No rush. So convenient! No printout needed. No tickets to pickup. Just scan the code on the turnstile and thats it! We were at the airport in 15 minutes! No rush.